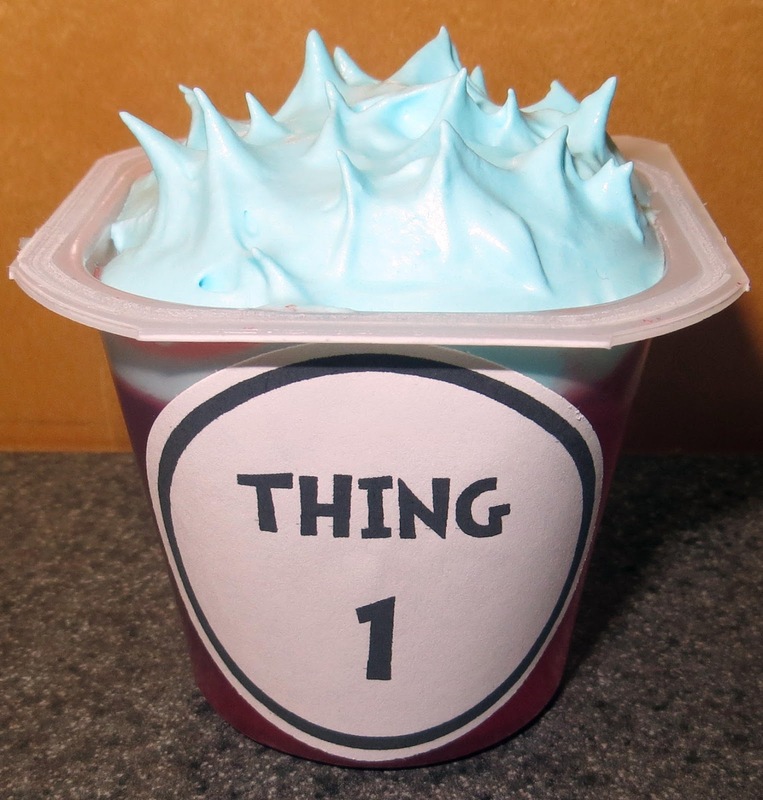 I made these fun snacks for Dr. Seuss' birthday and Read Across American day. I saw a picture of these on Pinterest, but unfortunately there is no source (let me know if you know who to credit). They are sugar free jello cups with blue-tinted sugar free cool whip on top. These actually count as a "healthy" snack according to the rules at the school, so I didn't even cheat! These are super easy! Print the Thing 1 & Thing 2 labels (download HERE) on sticker paper and cut out with a 2" circle punch. Apply the stickers to the jello cups and tint the thawed cool whip with blue food coloring. Dollop the blue cool whip on top of the red jello to form spikes. That's it! Enjoy!